Near the end of every year I look back over what I’ve read and select the book that impacted me most. Then copies of these are purchased and sent as Christmas gifts to three or four close friends. Usually these are books on leadership, career development or business but occasionally something unusual rises to the top of my list. 2013 was an example. The book illustrates trends in publishing that many writers overlook. There are short chapters, captivating stories, clear writing styles, and concise, practical applications. Certainly not all books or presentations can fit this style without “dumbing down” depth of thought or detailed discussion. But many best sellers take this newer format. The book includes incredible photographs by photographer John Warren. Photos and other visual images are difficult to find and expensive to reproduce but never underestimate the ability of images to communicate or to supplement words. More important, the book gives a broader perspective on the world where we live and work. Many of our lives, including the books we read and the churches we attend focus a lot on performance, innovation, success, efficiency, career-building and making an impact. Innately none of this is bad but consider the lifestyle that Jesus lived and the messages he proclaimed. According to the Stearns book if you earn more than $13,000 annually you are wealthier than 90% of the world’s population; you’re in the upper one percent if your salary tops $40,000. This book gently challenges us to rethink our values, revisit the relevance of Scripture, and maybe realign some of the priorities in our lives. 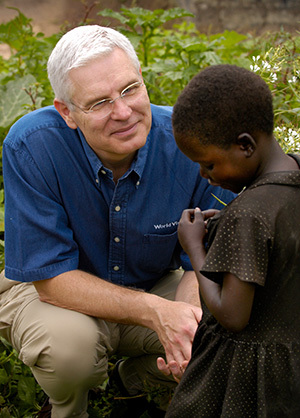 Until recently I was unaware of Richard Stearns but like most of us I was familiar with the large, global organization he leads: World Vision U.S. Former CEO of two major companies, Stearns moved to oversee World Vision’s goal of “working with children, families, and their communities worldwide to reach their full potential by tackling the causes of poverty and injustice.” I was deeply impacted by Stearns’ 2010 bestseller The Hole in Our Gospel: What Does God Expect of Us? The Answer That Changed My Life and Might Just Change the World. So I enthusiastically jumped into his 2013 book Unfinished: Believing is Only the Beginning. The book was more theological and less practical than I had expected. Stearns shows how we urge people to say some routine prayer that expresses belief but we fail to point out that deciding to follow Jesus involves a long-term commitment that can impact every aspect of our lives. Initially I thought the book got a little bogged down in retelling the whole Bible story but then I thought back to last week when I had dinner with a few seasoned counselors and psychology professors. They bemoaned the theological and biblical ignorance of so many students who want to relate Christianity to their counseling or other professions. I see this myself—dedicated emerging care givers who talk about integrating their faith with their practice. Many have high levels of expertise in their professions but almost no knowledge what they believe and why. Stearns sets his book in the context of scripture, clearly written theology and Bible history. 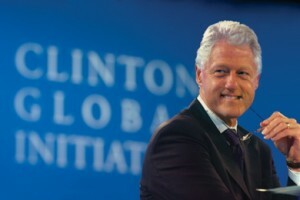 Then he shows how this can be the basis of helping and building people worldwide. I cannot remember Stearns ever mentioning counseling, coaching or leadership, but in many ways this is a fresh look at what integration could look like even when we’re never involved in humanitarian efforts. Last month Richard and Reneé Stearns published a book that I plan to read next. 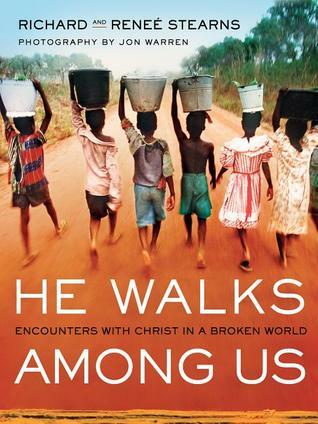 Written in a devotional format, He Walks Among Us: Encounters with Christ in a Broken World describes hopes, dreams, heartaches but also joy in the midst of intense poverty and need. Please leave a comment on any of this. How does it relate to your life and work? Newsletter #503 – Why Care About Culture? The author, Sunny Hong, reminds us of the differences between individualistic cultures that value individual uniqueness, independence and equality, in contrast to collectivistic cultures where group goals are more important and where there are more firmly defined social distinctions and expectations. Of course there are wide differences between people within any one culture but Western countries (especially the United States) are individualistic in comparison to the collectivistic mindset of Eastern countries including Japan, Korea and China. Hong focuses on mentoring but her conclusions apply equally to coaching, counseling, leadership, teaching, ministry and broader social relationships. These issues were never mentioned (or perhaps never recognized) in my training as a counselor. My coaching instructors insisted that the principles of coaching apply universally, without need for adaptation. But try taking an individualistic mindset into a collectivistic culture and there can be misunderstandings and communication failures. More harm than good can follow when culturally-insensitive business people, diplomats, missionaries, relief workers and mission trip participants go abroad without awareness of cultural perspectives and differences. This applies in work with neighborhood minorities as well as internationally. Mentoring or coaching in an individualistic culture seeks to help others grow professionally by setting goals and developing ways to fulfill personal visions. This is like parenting where children grow up, leave home and don’t seek further parental advice. 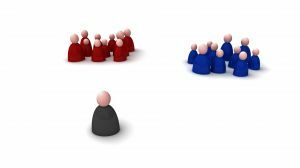 In collectivistic settings, coaches or mentors are respected and knowledge-filled gurus or teachers who continue to retain authority and provide wise answers on a more permanent basis. Individual initiative and self-motivation are not valued. According to Hong’s article, when there are differing expectations and assumptions regarding the purpose of mentoring [or coaching], there often is confusion and misunderstanding for both parties. Cross-cultural people-helping also can be unproductive when there are different views about goals, responsibilities, the meaning of success, boundaries, power, privacy, respect for time, transparency, self-disclosure, and feedback, among others. Before you decide to teach, coach, counsel or lead in other cultures, consider reading Hong’s article. And please comment or share your experiences. Is all of this as important as I am suggesting? Newsletter #496 – Who Cares About Social Justice? Dr. Vasquez never referred to the Bible but the scriptures often mention suffering and injustice with appeals for believers to make a difference. Jesus bypassed many of the issues that concern Christians today but he put significant emphasis on helping the needy, especially the poor. Some believers and churches focus either on personal salvation and discipleship or on what once was termed the “social gospel,” something more like social work than encouraging commitment to Jesus. Over history, haven’t Christians been involved with both: introducing people to Christ and fighting injustice? How do we respond if our professional organizations, churches, or political parties take stands with which we disagree? That is likely to happen. Resigning may not be the best solution. Maybe it is better to work together when we can but otherwise work with like-minded colleagues elsewhere. Should we work across-generations? I have noticed growing interest in social justice among younger counselors and psychology students, sometimes bordering on elevating social justice above other basics of the Christian faith. Can we learn to work on this together, cross-generationally? Should we care about social justice? How are you showing this? Please comment.